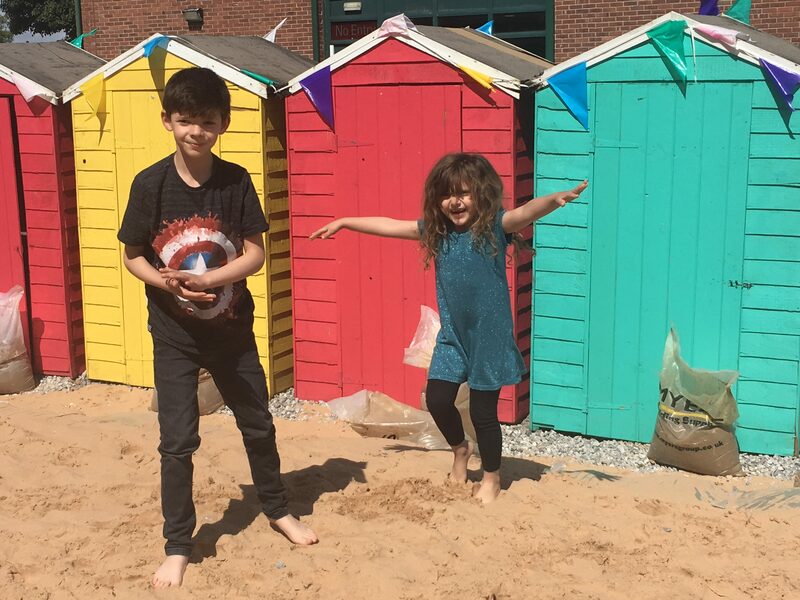 This week we headed to the beach, a beach with a difference. 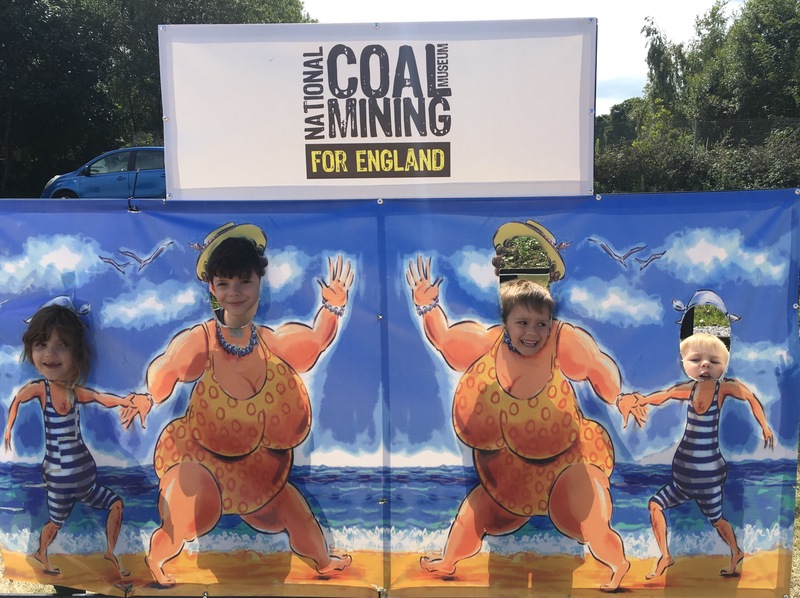 Not only was it 70 miles inland but it was at the National coal mining museum for England. 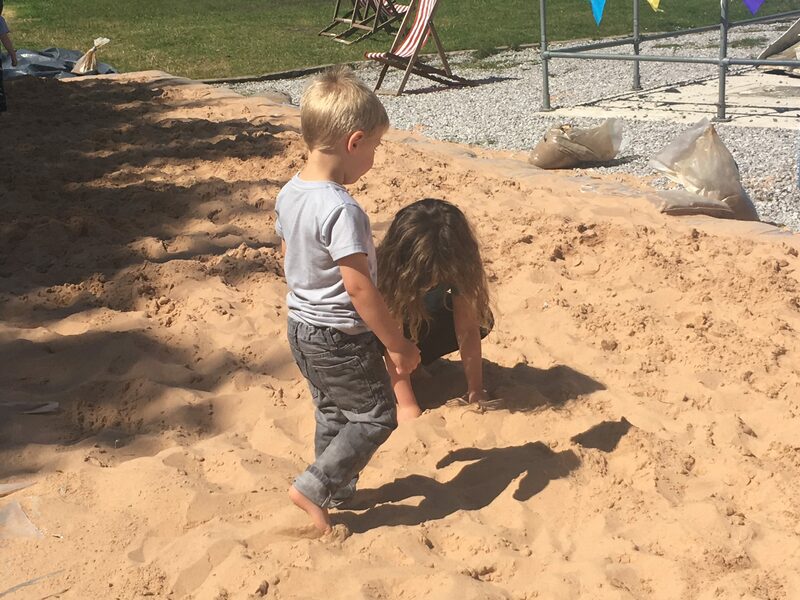 Not somewhere you might associate with having a beach, but it’s one of the many attractions the site has for visitors during the summer holidays. We only had a few hours there to meet my sister and nephews so took the opportunity to discover some new additions since we last went. 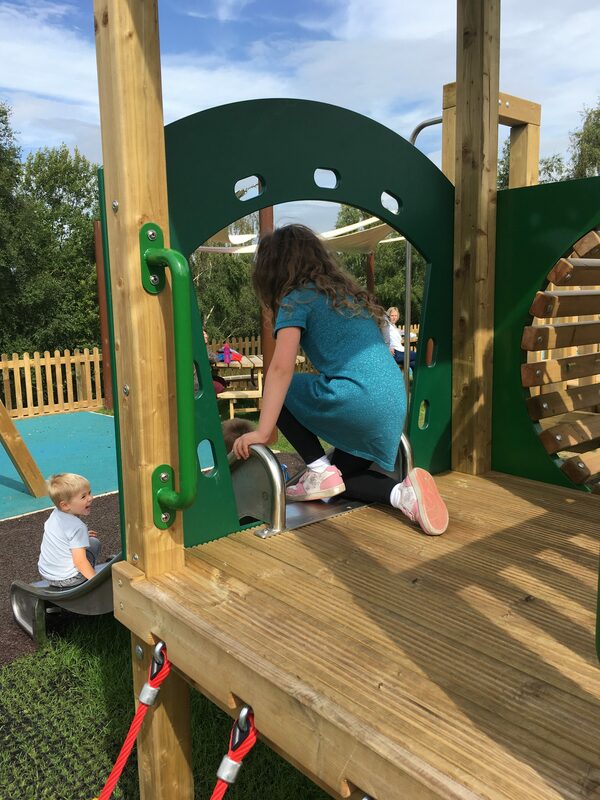 With it being a lovely sunny day after so much rain the kids had great fun exploring the new playground. 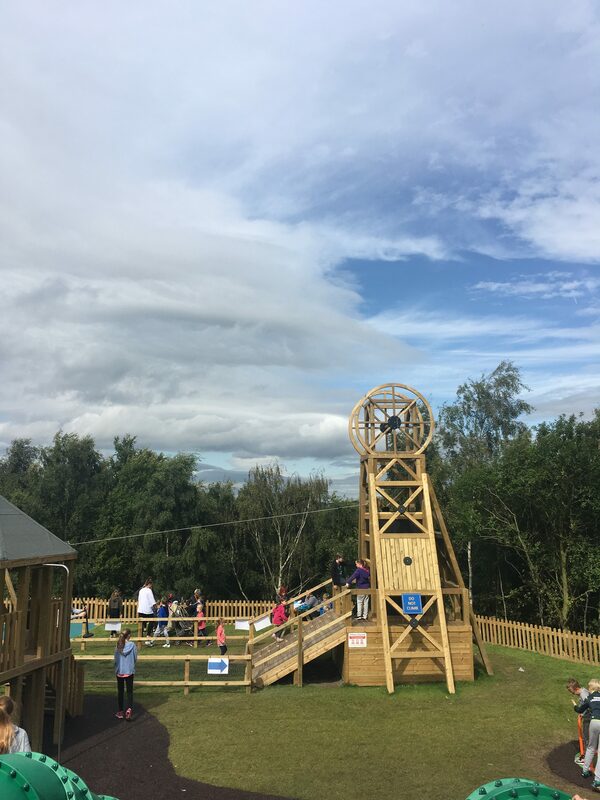 The kids ages range from 3-9 years-old but we found something for everyone to enjoy. 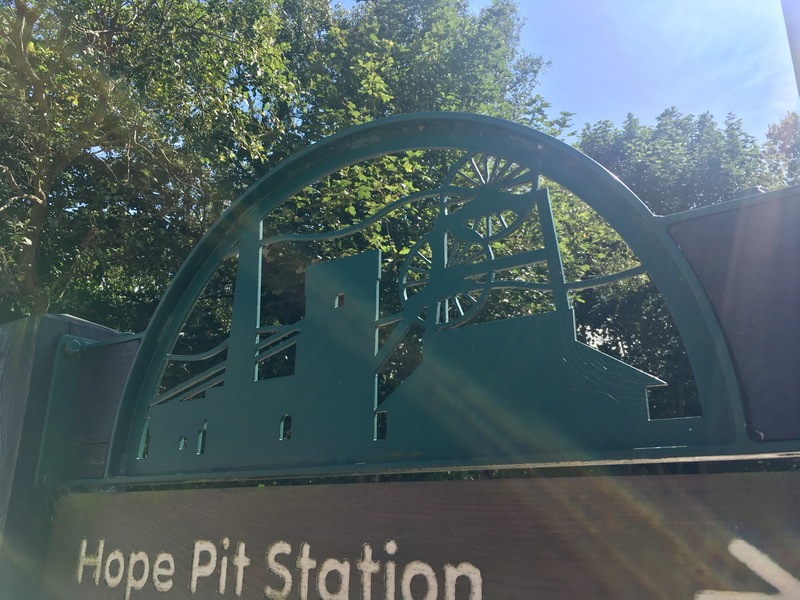 We haven’t yet ventured underground, but for an extra charge if you’re over the age of 5 you can see what’s beneath your feet and meet a real miner. After the playground, we bought tickets to take the ‘Seaside special’ miners train up to Hope pit and ‘the beach’. 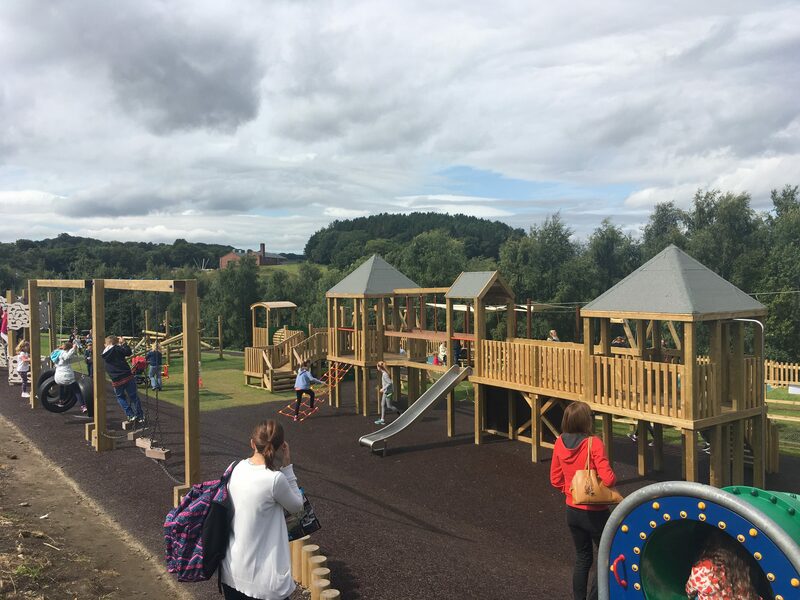 It’s a lovely area just past the pretty memorial garden, and there’s a nature trail, bird hide and some more buildings to explore. We headed to the beach area where the kids had great fun playing in the sand. There’s even a beach hut selling ice cream! We had our picnic up there and all too soon it was sadly time to head home, we hadn’t even ventured inside where there were craft activities taking place later on. The kids though had great fun and there’s lots more for us to discover next time. All views are honest and my own. I’ve received no incentive to share my day with my readers. Have you visited a beach in an unusual place? Let me know in the comments. For more photos and chat visit my Facebook page. Thanks for reading. It’s a great museum and free to get in too, with pit ponies and live performances they’ve really thought about engaging visitors. This really is a beach with a difference and a lovely way to learn about an old mine too. I’ve not seen this one before but it looks a great family day out. That beach really does look as though it should be beside the sea with those cute little beach huts too. A real bonus in the middle of England. 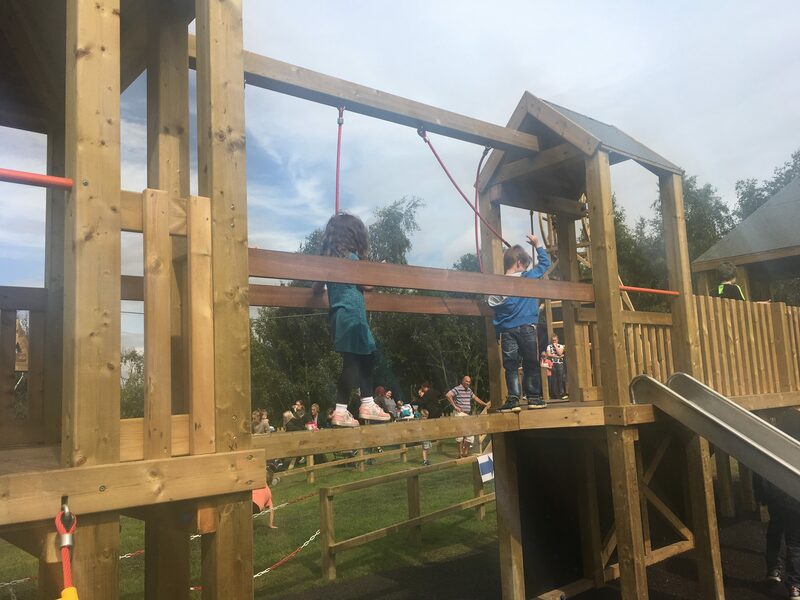 The play equipment looks like it has a real mining theme to it too, I’m not surprised you had a wonderful day here. I’d like to explore underground too, it’s good that you have that option but that for a lower amount can still do all the above ground bits. Thanks Fiona. It was a great day out and there’s lots more for us to discover next time when we have more time. Not as good as the beaches down by you but a great inland beach to play on! A very unusual place for a beach but it was lots of fun. I’m going to have to go back and spend longer there to do everything else we missed! Thanks for popping by. If your son likes caves and mines I’m sure he’d have a great day out here, there’s lots to do inside too and pit ponies to visit as well. Thanks for reading! It’s really worth a visit. Thanks for reading! It was a great day out. No, I’m not sure I fancy going underground but I’m sure it would be an experience! Thanks for reading. I know it a shame we didn’t have longer but means there’s more to explore next time! The weather was kind for once. I think that it’s fantastic that parts of our cultural heritage are kept alive and kicking by giving them a fun and modern twist. It sounds like a really fun day and, as you say, it’s cool that it’s in a pretty unexpected place. Thanks for joining us on #adventurecalling I hope you can again tomorrow. They’ve certainly put a lot of effort into making the history of mining interesting for kids. I think next time I’ll have to take the older kids underground so they can appreciate it better. Thanks for reading!